Veracruz is a port city with a long, interesting history. It offers visitors diverse activities to participate in. Some of these include the following interesting activities. The boardwalk or Malecon is a superb area to go for a relaxing, peaceful walk. There are often street performers on the boardwalk, you can watch the people go by or do some shopping. There is usually a crafts market where traders sell traditional handicrafts, such as tropical shirts or hammocks. You will also be able to get a look at how the largest port in Mexico works as you pass by the military and cargo ships. There are several sightseeing buses that offer tours of the city. During 1635, the Santiago Bulwark was constructed as part of a defensive wall which surrounded this port city. If you visit this building, you can view the museum inside where you will be able to view the Jewels of the Fisherman. This is an exhibition of prehispanic weapons and jewelry. This singular remnant from Veracruz’ past can be found between 16 de Septiembre and Avenida Gomez Farias, on Calle Canal. The building is open to visitors from 9am to 5pm, from Tuesday to Sunday, but is closed on Mondays. One of the city’s most important landmarks is the fortress, San Juan de Ulua. It is located on Isla Gallega, which is a small island within the harbor. It used to be part of the fortifications which were built to protect the city against pirates. Its construction commenced during the mid-1500s. The fortress was later expanded as it served as the main military base of the Spanish Empire within the Americas. It was also used as a storage facility for goods due to be shipped to Spain. The fortress was eventually used as a prison and military base after Mexico became independent. Visits to the beaches of Mexico are always top of the lists of visitors to this beautiful country. Veracruz is not on the list of top beaches to visit in Mexico, but it can definitely suffice if you are suffering from the scorching heat. The Villa del Mar and Boca del Rio beaches will certainly satisfy the needs of those looking for soft sands and cooling water. To ensure that you are able to visit all these interesting sites within Veracruz, you should purchase Mexican car insurance prior to leaving home. 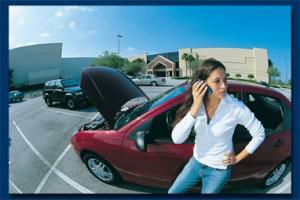 The simplest method of obtaining Mexican auto insurance is to go online and search for providers. You should check that the provider you intend purchasing the insurance policy from is indeed a licensed provider as this will ensure that you receive what you pay for. Once you have done comparisons of the available policies from the different providers, you can go ahead and purchase it online. You can purchase your Mexican auto insurance from this MexInsuranceStore link. The process is quite simple and once you have paid for your policy, you will be offered the opportunity to print the policy. You should print at least two copies, one in English and one in Spanish, and keep both with you at all times during your travels through Mexico. This will make it easier for you in the event that you are stopped by a traffic authority that is not English-speaking. These days, there can be no better option for the best Mexican insurance than doing it online. After buying it online, I can have peace of mind for all my driving days. Mexico is a great experience to drive and see all the beautiful places it offers. Being prepared for Mexico traveling makes everything more convenient! Mexican Insurance Store tops it all and can be trusted the moment you need it. If you have plans to take a 2-week trip to Mexico, better choose the annual policy. Make a request for policy covering small regions where you will travel most. Make an effort to have Mexican insurance for your car. Before crossing to Mexico border, don’t leave the house without your important papers. Obviously, one of these is your Mexican insurance. Family members will enjoy it better if the accommodation in Mexico is a house for rent. Find a small house rather that booking on a hotel room. Try it… it really works! Getting insured online is a quick process, but you must ensure you’re getting the right Mexican insurance option. 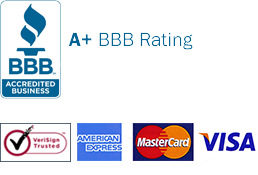 Start reading reviews of the most trusted insurance companies in Mexico to get some ideas. It’s a big problem if you go to Mexico without buying your Mexico insurance. Do you think you can drive with peace of mind without getting insured? Fruteros, sliced fruit in a cup topped with liquid sauce or chile powder , is another comfort food sold from street carts.